Form and Function in Alex Ross Perry's "Queen of Earth"
Chicago indie film power couple Joe and Kris Swanberg reflect on parenthood in these two films about new parents and their struggle in taking on a new, adult identity. 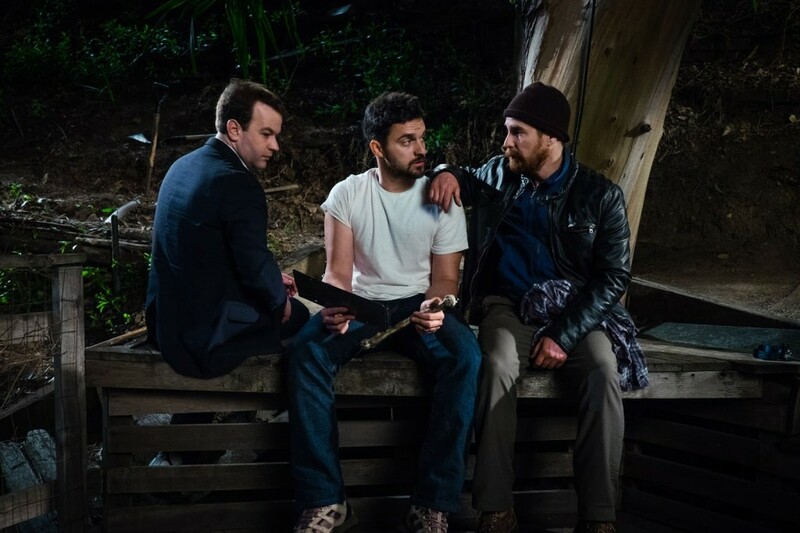 It’s difficult to talk about Joe Swanberg’s growth, because even his most recent films are humble, minimalistic affairs. But the progress is tremendous when looking to his early breakout work in the mumblecore mini-genre (LOL, Hannah Takes the Stairs) and how he has since come to embrace more of the visual faculties of cinema. 2013’s Drinking Buddies and 2014’s Happy Christmas marked Swanberg’s shift to working with name-actors and more ambitious productions, but none of his work reaches for thematic and philosophical resonance like this year’s Digging for Fire – the story of a new father (Jake Johnson) who can’t help himself from launching a backyard investigation after finding a human bone and a rusty revolver buried in the property behind his California hills vacation home. 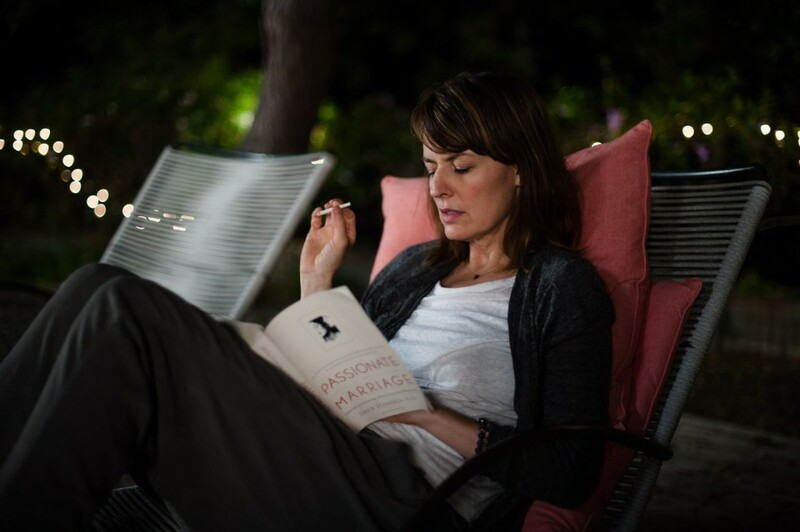 Rosemarie DeWitt (Men, Women, & Children, Promised Land) stars as Johnson’s wife, and takes part in a mysterious adventure of her own as she finds herself on an accidental date with another man (Orlando Bloom) while away from her husband for the weekend. A dizzying ensemble fill out the rest of the roles – comedian Mike Birbiglia, frequent collaborators Anna Kendrick, Ron Livingston, and Melanie Lynskey, and indie scene favorites Brie Larson, Sam Elliott, Sam Rockwell, Jenny Slate, and Jane Adams. And, despite inviting what must be half of Hollywood on to the set, Swanberg ends up with a film that doesn’t feel crowded, and somehow still carves clear space for the two leads to develop and hold the focus. Johnson’s sarcastic persona and acerbic dumb-wit, as fine-tuned on Fox’s comedy series New Girl, is a perfect fit for the thoughts on adapting to adulthood that Swanberg is exploring here. He’s working through the notion of having to place his childhood and adolescence into the past and “accept his fate” as a parent and middle-aged adult. There’s a great moment when he describes the sudden fear of realizing teenagers don’t see him as a peer anymore, but an elder. To be sure, Swanberg wraps this one up with an awfully neat bow, but these characters’ separation, transformations, and reintegration as a refreshed couple makes for a simple and effectively heartwarming experience. 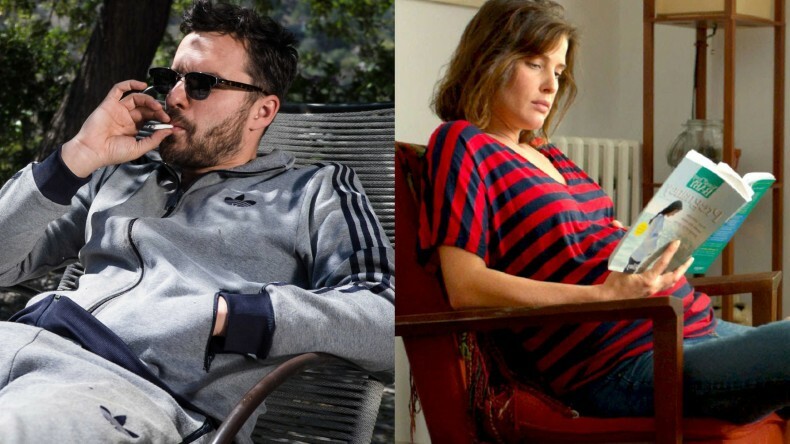 If Joe Swanberg’s depiction of parenthood as communicated in Digging for Fire was a loss of the past identity of the reckless youth, then wife Kris Swanberg’s Unexpected depicts a loss of future identity when a baby comes along and changes a woman’s life plans. This gently-paced motherhood story follows Samantha, an ambitious teacher (Cobie Smulders) at a soon-to-be-closed inner-city high school and Jasmine (Gail Bean), one of her students, as they form a bond over their unexpected pregnancies and struggles to redefine their lives and goals. With her career-hungry eyes set on a city-wide curriculum writing position at the Chicago’s Field Museum of Natural History, Samantha discovers she’s pregnant, and her husband (Anders Holm) is quick to make the decision that he’ll continue to work while she stays home to raise their child. This sudden shift from upward-moving professional to stay-at-home mother is informed rather directly by Kris Swanberg’s own life. On an episode of the popular comedy podcast WTF with Marc Maron, Joe Swanberg remarked that their first child posed some issues for them, as they had to decide which of them would continue making films, with Joe being the more financially sustainable option. Kris Swanberg has also commented that she personally developed a long-lasting friendship with a former student while teaching at a Chicago school before being laid off. Holm’s take on the husband character isn’t particularly flattering, as he’s clearly someone who’s doing his best, but just doesn’t comprehend what his wife is going through. Their relationship is only established briefly prior to the pregnancy, though, with much of the focus turned to the emerging and unlikely friendship between teacher and student. Here, newcomer Gail Bean does great work as a smart, reluctantly motivated high school student thrown into a situation that seemingly robs her of the opportunity to continue her education at the college level. Swanberg clearly has a great passion for the stories of underprivileged youth and their interactions with the local Chicago schooling system, and the 2013 closures of 54 schools adds a lot of weight to this portrayal of a great teacher losing her job. The very small scope and reach of this project ultimately holds it back from becoming something to talk about months or years down the road, but this quiet drama offers natural performances and a lot of hope for expecting mothers struggling to redefine their place in the world. Most importantly, it’s honest cinema from a writer-director working with material that matters to her, and that comes across on-screen.